More than 4,500 homeless guests are expected at Crisis at Christmas centres in London, Edinburgh, Newcastle, Coventry and Birmingham across the festive period. Many of which are opening today – Saturday 23rd December. The charity’s Christmas centres are run by an army of more than 11,000 volunteers. As well as warmth, companionship and three hot meals a day, guests receive healthcare and specialist advice on housing, work and benefits. Homeless people will also be encouraged to take up the life-changing opportunities on offer at Crisis centres across the country throughout the year ahead. 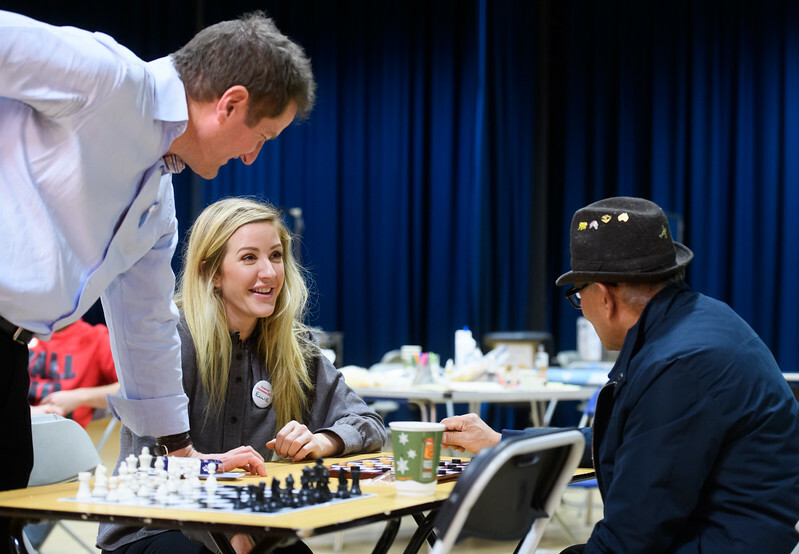 Ellie Goulding volunteers at a Crisis at Christmas centre which supports homeless people this Christmas.